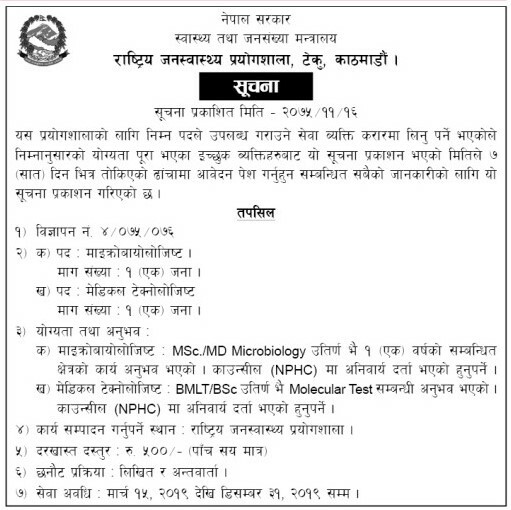 Government of Nepal, Ministry of Health and Population, National Public Health Laboratory, Teku, Kathmandu announces a vacancyfor the following positions based on a contract basis. > M.Sc/MD Microbiology with one year of experience in relevant field. > BMLT/B.Sc with experience in Molecular Test. > Should be registered in NHPC.